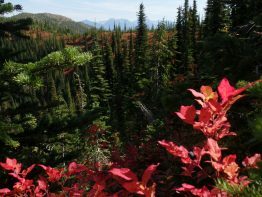 A team of researchers from the University of Washington and U.S. Geological Survey have made used satellite images of Glacier National Park, to examine patterns in huckleberry plants that turn a brilliant red color each fall. Tracking where huckleberry plants live now — and where they may move under climate change — would help biologists predict where grizzly bears will also be found. 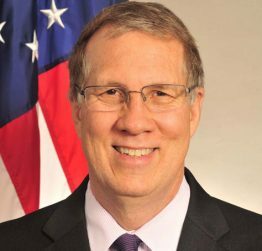 Russell Callender spent nearly two decades working on coastal science, policy and management issues at the National Oceanic and Atmospheric Administration’s headquarters near Washington, D.C. But throughout his tenure at the nation’s capital, he kept his eye on a position at an organization in the other Washington. When he saw the job posting last summer to lead Washington Sea Grant at the University of Washington, it took Callender all of about two minutes to start working on his application. As the natural world responds to climate change, American Indian tribes across the country are grappling with how to plan for a future that balances inevitable change with protecting the resources vital to their cultural traditions. 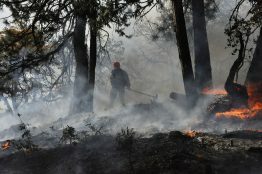 The University of Washington Climate Impacts Group and regional tribal partners have developed a collection of resources that may be useful to tribes at any stage in the process of evaluating their vulnerability to climate change. Not all polar bears are in the same dire situation due to retreating sea ice, at least not right now. 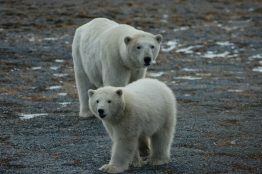 Off the western coast of Alaska, the Chukchi Sea is rich in marine life, but the number of polar bears in the area had never been counted. 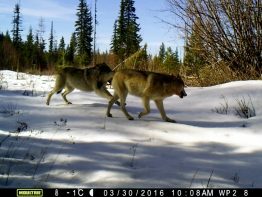 The first formal study of this population suggests that it’s been healthy and relatively abundant in recent years, numbering about 3,000 animals.